Aqua, witch hazel*, calendula, xanthan gum, Vitamin E*, burdock*, walnut extracts*, aloe barbadensis*, lavender*, essential oil* (*CERTIFIED ORGANIC). Packaging wise is as elegant as the Daily Face Care range as it comes in a classy glass tub with a golden screw cap. Very elegant indeed. But the thing to note is that because it comes in a glass tub, it is not travel-friendly. In order to bring it along for my travels, I needed to transfer a little into another plastic bottle for more convenience. Age slows the process of skin cells growing, dividing and flaking off causing build-up resulting in uneven complexion, wrinkles and clogged pores. Signs of cellular build-up are a dull lifeless complexion, noticeable fine lines and wrinkles and blemishes. 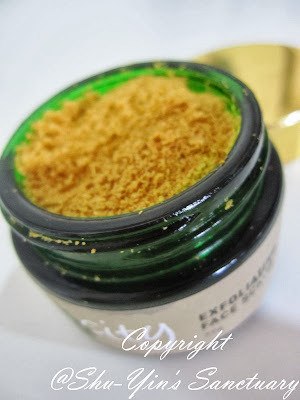 Exfoliation helps prevent fine lines, wrinkles and increases cellular renewal. In other words, exfoliate to help your skin glow. You can buff off dead skin cells gently with a soft washcloth, spinning brush, or scrubs with synthetic beads. The moment I opened up the tub, I was surprised. Surprised because the content does not look like all my other scrubs. 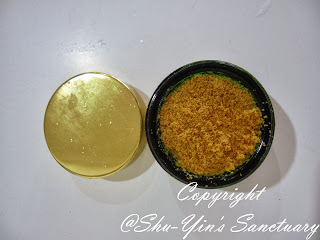 Instead of having the usual granules mix with soap kinda scrub, this one comes without the soap and just the scrub - which to me means you get more scrub (less soap) and more value for money. 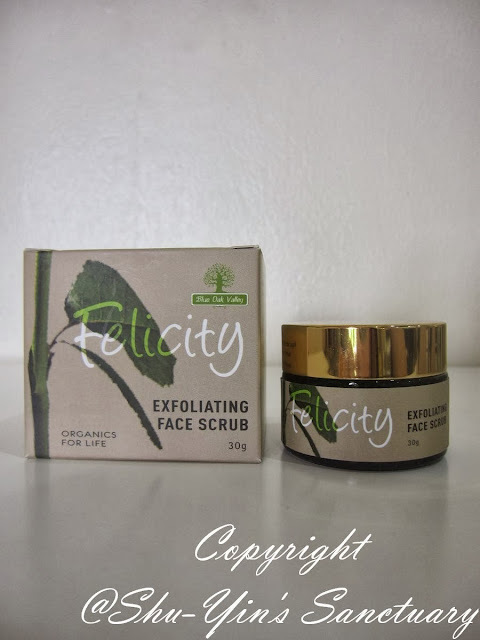 The scrub is made with the best of plants derived naturally in their optimal concentration, and it looks like some herbs, and even smell like herbs. But those nice-smelling herbs kinda scent. It has a raw scent like it was just being formulated there and then. So what you need to do is to pour a small amount of face exfoliant onto your palm. Add a few drops of cleanser and water, lather and massage onto face in a circular motion. Then rinse with water and follow with toner. Before using BOV, my face has clogged pores, which leads to those tiny little white heads all over my face. No matter how much I washed it off, I can't seem to cleanse it off. Now I know that these white heads can only be scrubbed off. I scrubbed my face more often now, about twice a week and I could see and feel a difference. No more white heads stuck underneath my fingernails when I lightly 'scratched' my face. It feels clean. Not just surface clean, but clean from within. 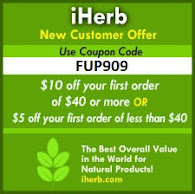 So this product removes dirt, debris and toxins as claimed, while rejuvenating and exfoliating skin. As I mentioned in the previous post on the use of moisturizer, once I scrubbed more often initially with this, my skin was able to absorb the moisturizer much more well. Not sure if it makes my skin more radiant (I've never had radiant skin), but it definitely make it more smoother and soft and I hope in time to come, more even toned. So this exfoliating face scrub worked miracles for me. 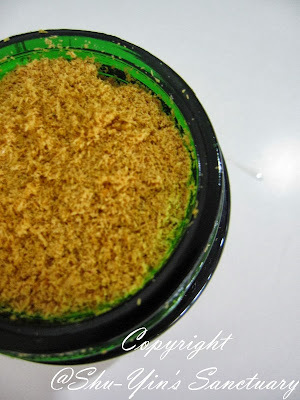 My favourite exfoliating scrub ever! I am pleased to announce that Blue Oak Valley is sponsoring 1 tub of Exfoliating Face Scrub (30g) to a lucky winner! 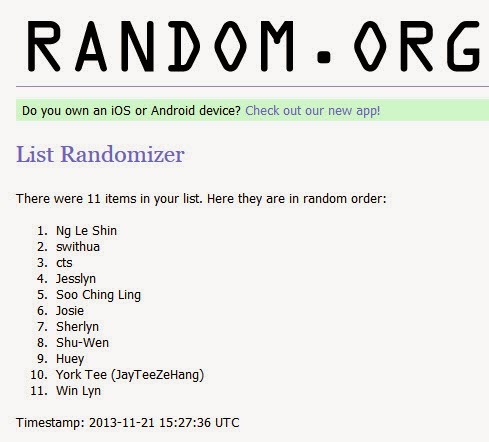 Giveaway ends on 14th November 2013 (Thursday) 11.59pm Malaysian time. 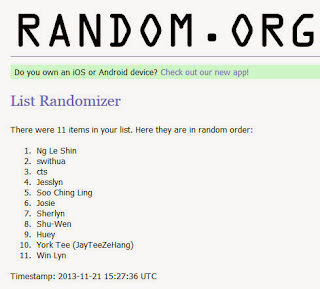 The winner will be chosen randomly on 15th November 2013 and will be posted in this post and will be contacted via email. If no reply from the winner within 48 hours, then I will announce for a new winner. 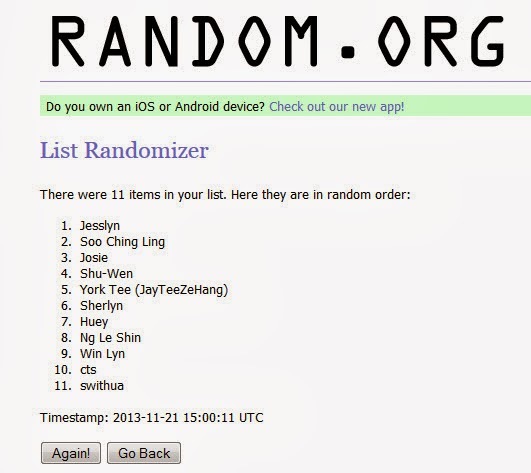 The winner of the Blue Oak Valley's Lilly Range Set is Ng Le Shin! Congratulations! You should have received an email from me on how to collect the prize(s). 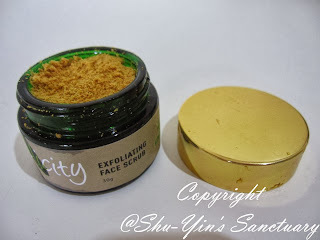 * Disclosure: I received the Exfoliating Face Scrub (30g), for review purpose, but no monetary incentive was received. All text and opinions are of my own and represents my honest opinion of the product(s). The scrub looks and sounds amazing. I would really love to try it out. I almost never finish using scrub that I bought before - mostly because I'm lazy? But I have been thinking about using scrub again and would want to give this a try! Sounds interesting!!! I am going to give it a try! i wish to win too. It looks like something that my sis love. I want to win for her. Thanks.